5 Years vs. 15 Years: How Long Will my Windows Last? When you’re investing in new replacement windows, you’ll want your purchase to last as long as possible. After all, who wants to spend several thousand dollars upgrading their home for their products to fail only several years later? The truth is that replacement windows have varying lifespans. You’ll find some windows only last around 5-7 years, while other windows can last 15 years and even longer. Although nothing lasts forever, it’s helpful to know which windows will last the longest and continue to perform at their best for years to come. What Impacts the Lifespan of a Window? There are various factors that impact the lifespan of a window, and the weather is one of them. Vinyl windows that are exposed to areas with bright sun might not last as long as windows that are at least partially covered with shade—and this is especially the case if this window is engineered with poor quality materials. Speaking of materials, this is another big factor of a window’s lifespan. Middle grade vinyl windows will last around 15 years, while premium vinyl can last as long as 20 or 25. This is due to the titanium dioxide within the vinyl. It helps the windows maintain their structure over the years and prevent them from warping, cracking, or peeling. On the other side of the coin, low grade vinyl may only last 5 to 7 years. Often times these windows come from big box home improvement stores, or even professional window companies that offer extremely low pricing. These bottom dollar windows aren’t designed to last you a long time—they are essentially place holders that will get you by for a couple years. Wood is another material option that can last a considerable amount of time. However, this ultimately depends on how well you take care of them. 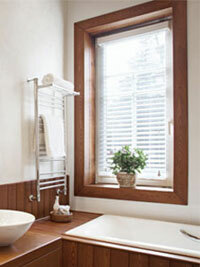 If you neglect to maintain your wood windows, they are prone to peeling, chipping, and possibly rotting away. 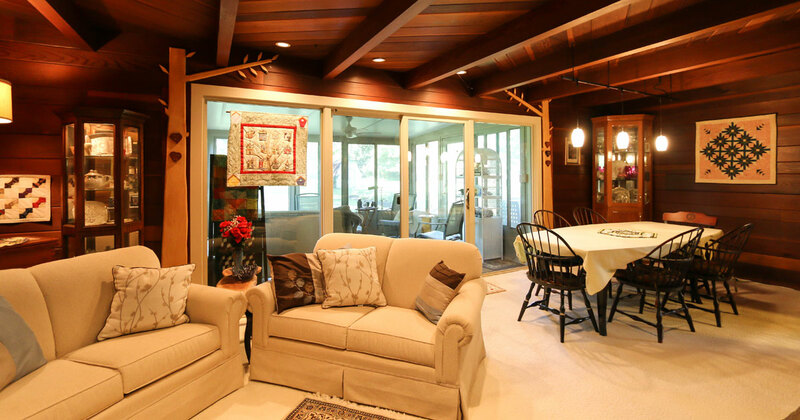 Your window installation plays a large role in the lifespan of your window. If your windows are not properly installed, this can result in energy loss and overall shortening of the window’s lifespan. Even the most expensive windows won’t last as long as they should if they are improperly installed, so be sure that you hire a professional to get the job done right. If you want your windows to have a long lifespan and help lower your utility bills, be sure to choose high quality windows from a reputable window contractor in Cleveland. The good news is that you don’t need to break the bank in order to get some of the best windows on the market—contact Universal Windows Direct to find out more.